This easy to carry and small sized vaporizer features a LCD display, an accurate temperature controller, a powerful rechargeable battery and comes with silent operating functionality. The flavor of your chosen herb depends on the temperature. If the temperature is too high, you will be inhaling a taste similar to burnt leaves. When too low, it wouldn’t have much of a taste at all. With the NO2.V2 you can depending on your personal preferences, choose the temperature which you think best suits your chosen herb. It is designed for use with numerous different herbs and heats up to your preferred set temperature in mere moments. The temperature is clearly displayed on an LCD in Celsius or Fahrenheit for your vaping convenience. Just remember the maximum temperature is 400 degrees Fahrenheit or 204 degrees Celsius. Temperatures higher than this should be avoided at all times, to ensure that you have only pleasurable vaping sessions. Question: How can you charge the battery? Answer: You can either charge the battery by leaving the battery inside the unit and turning on the side switch On or you can purchase and external battery charger and charge the battery directly. Question: How many sessions does one fully charged battery have? Answer: One fully charged battery has three 20 minute Sessions. Question: How long does each session last? Answer: Each session lasts about 20 minutes. Question: How often does one need to change the mesh screen within the unit? Answer: Depending on the herb it varies. When airflow starts to feel drained and clogged then make sure to not only change the mesh screen but clean it out as well.. Question: How do I register my unit for warranty? 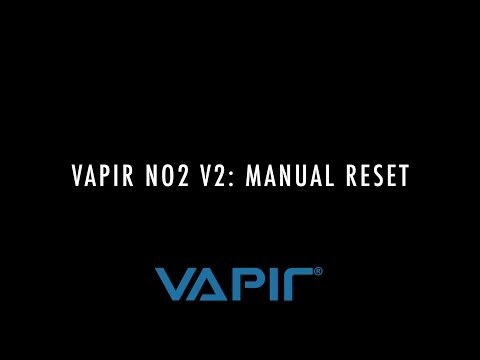 Answer: If the unit was purchased directly from the Vapir website then your unit is automatically registered. If it was purchased from a third party please make sure to register your unit by scrolling to the bottom of the page and clicking” Warranty Registration”. Question: How long is the warranty on the NO2.V2? Answer: The initial standard warranty is 1 year but you are able to purchase an extended warranty. Question: What products can the vaporizer be used with? Answer: The unit can be used with dry herbs and flowers. Question: How can we clean the unit? Answer: The unit can be cleaned by taking out the mesh screens and using something as simple as a Q-tip with some rubbing alcohol to clean the chamber. Question: How can you change between Celsius and Fahrenheit mode? Answer: Hold down the Red button for a couple of seconds and it will automatically change between the two. The powerful rechargeable battery assures you a long lasting vape session, while the silent operation allows you to relax and enjoy every vaping moment. It requires little to no-maintenance and you can even vaporize while it’s still charging, just like your smartphone. The NO2.V2 is a user friendly device, designed with relaxing vaping in mind. There is no need to connect any additional parts as it is already fully assembled, unlike other vaporizers - you can immediately to enjoy your very first vape from the moment you open the box. Many have said the NO2.V2 looks more like a microphone than a vaporizer. We say that's what makes it unique and trendy! Vapir believes that your vaping experience is much more important than simply investing in standard looking, boring and low quality devices. 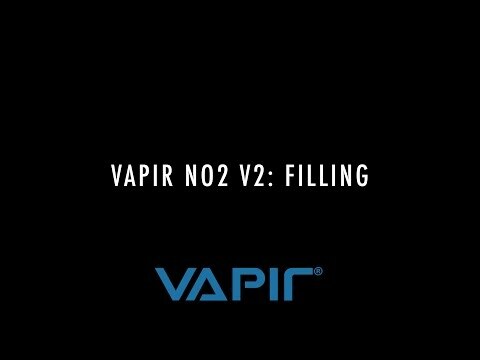 An integral part of the NO2.V2 is its heating element, as it's made from copper Alloy which is Lead Free and which exceptionally flavorful, dense and clean tasting vapor every time. The Vapir NO2.V2 looks impressive, while still remaining compact to fit into your bag or purse. ● “Ready To Vape” Straight from the Box! Love this vaporizer. Easy to use. Easy to clean. I've had the same No2 for 5 years (V1) and its been a wonderful charm. This is a vaporizer you get to learn and cherish very quickly. This year I had to open it up for maintenance and I have to applaude the build quality. It's built to last.